UPDATE: We have our five winners: Aleta Michelle, Gabrielle Anderson, Brandi Nicole Caple, Jo Ellen Antley Cranford, and Fola Fash. Please check your email on how to claim your prize. Thanks to everyone who entered! Sure, you may remember to protect your skin from harmful UV rays, but what about your hair? Keep your hair gorgeous, shiny, and frizz-free with a Twisted Sista Sun-Proof Kit, which includes a Leave in Conditioner, Straightening Thermal Perfector, Hot Curls Perfector, Curl Activator, and Different Strokes Serum. Absolutely everything you need to sun-proof your hair this summer. 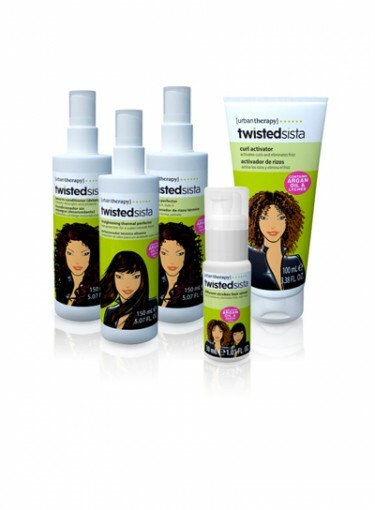 The Prize: Five winners will receive a Twisted Sista Sun-Proof Hair Prize Package. The Deadline: The contest will run from Monday, July 9th to Friday, July 13th. We will pick the winner at 12 p.m. on Friday, July 13th. Good luck! US only; contest not valid for previous giveaway/caption winners.